UPCOMING HOLIDAYS AND IMPORTANT DATES: Now Enrolling for 2018-19 School Year! Ombudsman Chicago offers three locations to serve students in morning, afternoon and evening sessions, where students receive academic, career/college and social/emotional supports. 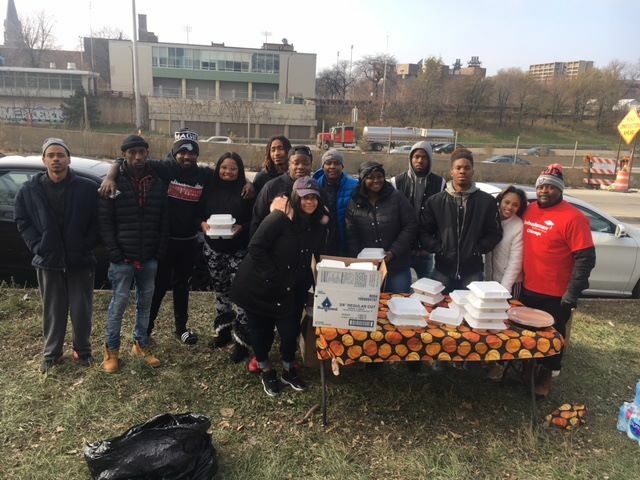 Through partnerships with community organizations, students at Ombudsman Chicago have access to tutoring, job readiness training, job placement, mentoring, extra-curricular activities, counseling and mental health services. This comprehensive approach ensures our students have what they need to be successful now and in the future. 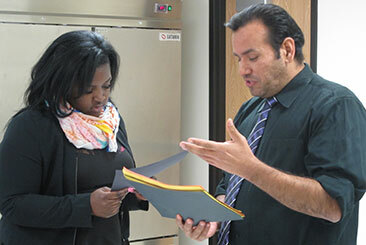 Ombudsman Chicago is participating in a pilot program with Chicago Public Schools and City Colleges of Chicago to offer students career certification training programs to prepare students for careers that pay more than minimum wage after graduation. Partnerships with St. Augustine College, City Colleges of Chicago and other local colleges and universities allow students to earn college credit while they’re in high school. 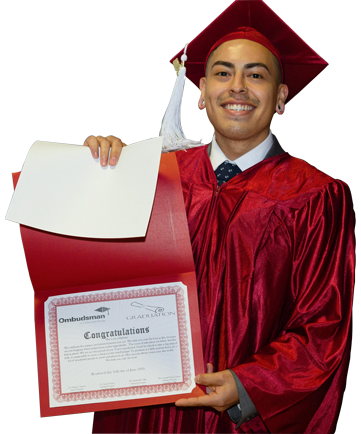 One-hundred percent of Ombudsman graduates are accepted to St. Augustine College and have the opportunity to earn scholarships. Students say Ombudsman Chicago “feels like home.” They find it easier to focus in a learning community where there’s no drama or distraction – and where there’s plenty of motivation. Ombudsman Chicago operates three campuses in Chicago, and you can enroll in any location that’s convenient for you. No matter what kind of family structure surrounds a student — two parent household, single parent household, parenting teens, a grandparent who is head of the household — Ombudsman Chicago works with each student and his or her family to ensure success. Ombudsman Chicago offers families the opportunity to engage in their students’ education through events, parent meetings and services to support our families. 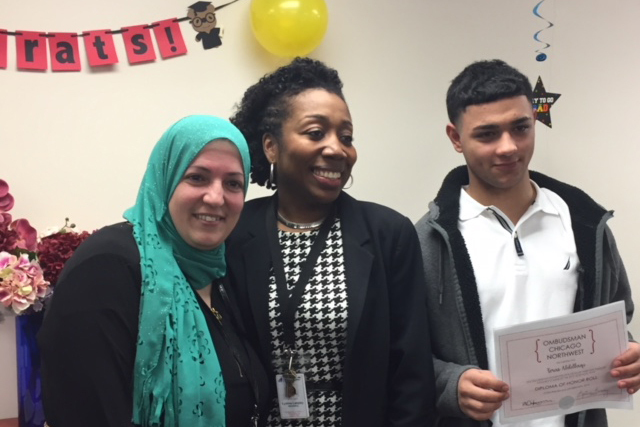 Ombudsman Chicago’s staff have a special passion for working with students who are at risk, and they love knowing they make a real difference in the lives of young people who may not otherwise graduate from high school. Our certified teachers, counselors, social workers and support staff have a true career path, with opportunities to learn, grow and advance professionally. Ombudsman campuses around the country are embracing the giving spirit this holiday season. While our Ombudsman staff and educators get to witness our students do great things every day of the year, we want to make sure to recognize and share some of the extra special and selfless efforts our students have put forth. 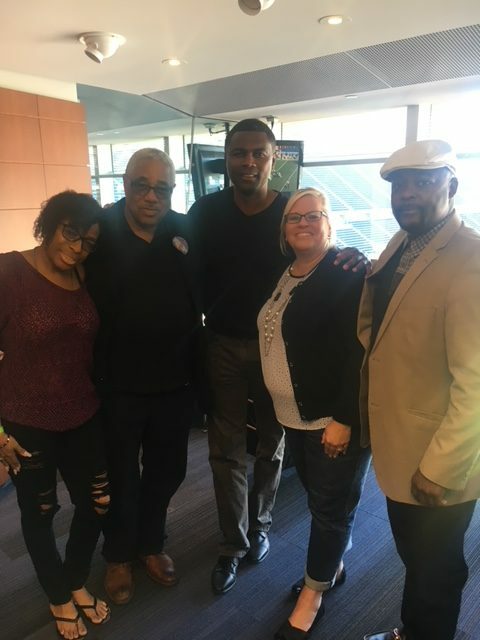 Ombudsman is proud to be a community sponsor of Chicago Football Classic and we are committed to the pursuit of the program’s tenets: pride, athletic prowess, and academic excellence. 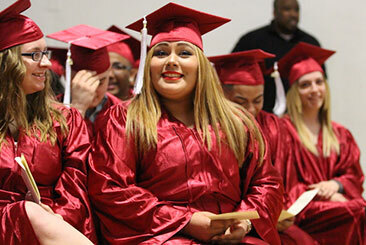 More than 225 are graduating from the three alternative high school campuses around the city. 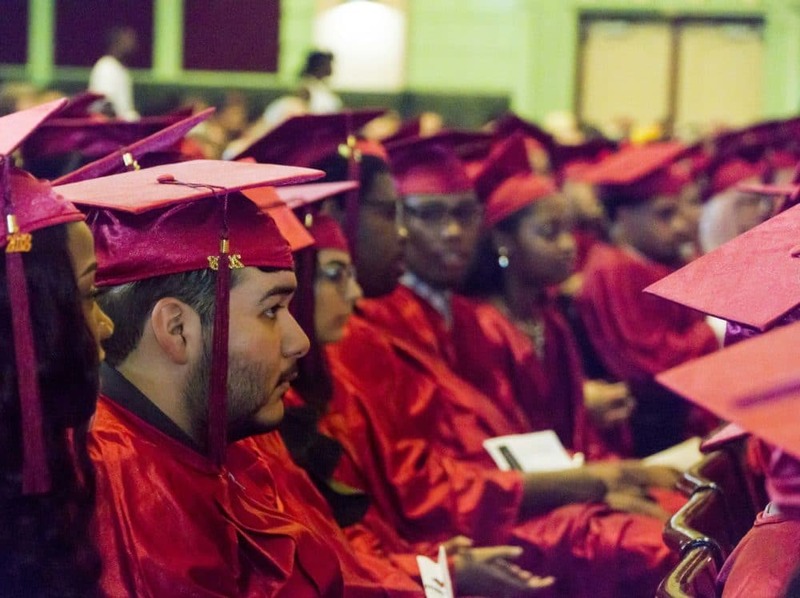 Administrators say graduation rates have been steadily increasing, having a positive effect on the community by giving at-risk African Americans a positive path and way forward.